Whether you’ve recently started working from home or you’re thinking about a home office revamp, there are some areas of efficiency you should be aware of. Piles of papers, tangled cords, and a faulty Internet connection are a few annoyances that could affect your work. Although working in your pajamas is luxurious, there are vital steps to take so your productivity is maintained. Here are several ways you can guarantee an efficient workspace. There’s no need for filing cabinets anymore. With electronic organization you can scan your documents and upload them systematically so that it’ll take seconds to find a specific file. Make sure to invest in a high-powered shredder too. 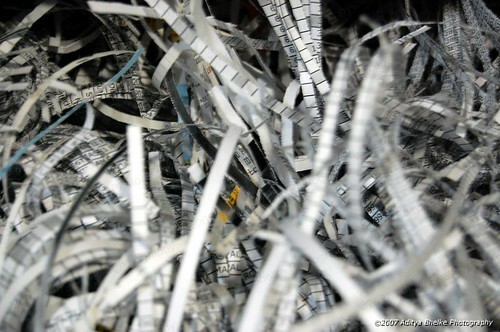 Once a document is digital, immediately run it through the shredder, to avoid messy paper stacks. Kicking around tangled cords under your desk is irritating but trying to locate a specific cord is an absolute pain. Save yourself time and purchase some nifty cord devices. USB hubs instantly wind up cords for orderly keeping. Cordlets also keep cables in order by directing them exactly where you need them on your desk. WAshi Tape allows you to label cords for quick identifying. Quatro devices go into your wall and have four holes specifically designed for USB-charged gadgets. No need for electric adapters because you can now power up all of your USB devices directly to the wall. Although you want a well-lit room, it’s important to keep blinds or shades closed to prevent distraction. 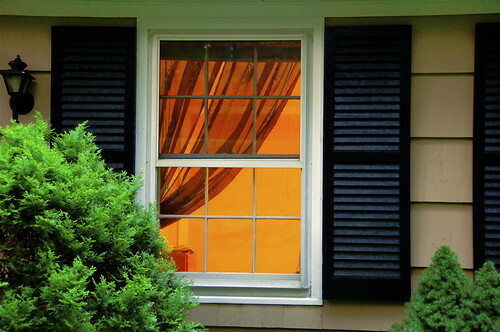 Nothing is worse than neighbors constantly walking by your window or losing your train of thought by something going on outside. Consider purchasing window or roller shades so that you may remain focused on your work. Outside noise can be disruptive, too. Solve this issue with some soothing music, earplugs, or sound proofing materials. Clients and co-workers need your attention throughout the day. Though e-mail, G-Chat, and Skype are universal ways to communicate, some will want to reach you by phone or text. Here are a few cool products that’ll allow you to multitask with your phone. Good Call IG1 Bluetooth Wireless Handset/Docking Station allows for all of the functionality of an iPhone while receiving a call through it. Jawbone Jambox Wireless Bluetooth Speaker is excellent for its convenient size and phenomenal sound/volume. Omnio WOW Keys let you type on your phone via a more standard keyboard. You can combine it with other apps and you can control your desktop by using it with your phone. If you work from home you need a high-speed Internet connection. With options of DSL, cable, satellite, and wireless, you’ll want to choose a connection that best suits your needs. Typically, you should look for speeds of at least 384kbps/128kbps. To keep your Internet running quickly, you’ll want to regularly clear your history, perform malware tests, update your browsers, and shut down unnecessary programs. Staying focused on your work can be far more difficult at home. From organizational systems to multi-tasking devices, it’s important to make sure your office is setting you up for success. Carly Wright is an activist for fun! 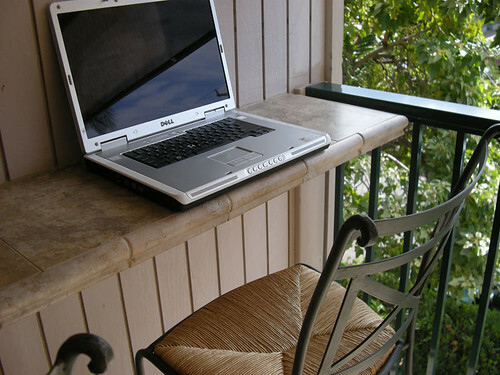 From technology and entertainment to travel and leisure she can write about it all. She encourages you to see her tweets @MostlyImWrite.